County Donegal is a popular holiday area known for its sandy beaches, unspoilt bog lands and the Glenveagh national park. 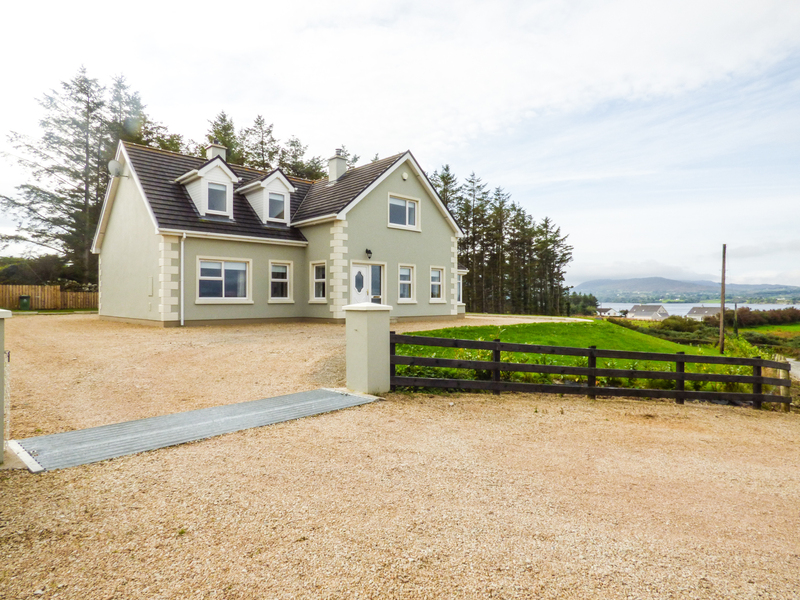 Lakehouse Hotel Cottage 9 is a beautiful detached cottage situated in the grounds of Lake House Hotel in Narin Co. Donegal. The cottage can sleep eight people in four bedrooms, which are made up of three doubles, one with en-suite shower and a twin as well as a separate bathroom. The rest of the cottage is made up of a kitchen and a sitting room with a dining area and an open fire. To the outside is off road parking for two cars and a shared lawn area to front of property. Set in a stunning location, Lakehouse Hotel Cottage 9 is a wonderful place to enjoy at any time of the year. 4 Bedrooms Oil fired central heating with open fire. Electric oven and hob, microwave, fridge/freezer, washing machine, dishwasher, TV with Saorview, selection of books and games. Fuel, power and starter pack for fire inc. in rent. Bed linen and towels inc. in rent. Off road parking for 2 cars. Shared lawn area to front of property. No pets and no smoking. Shop, pub and restaurant 8 mins walk. 2 Bedrooms Electric heating. 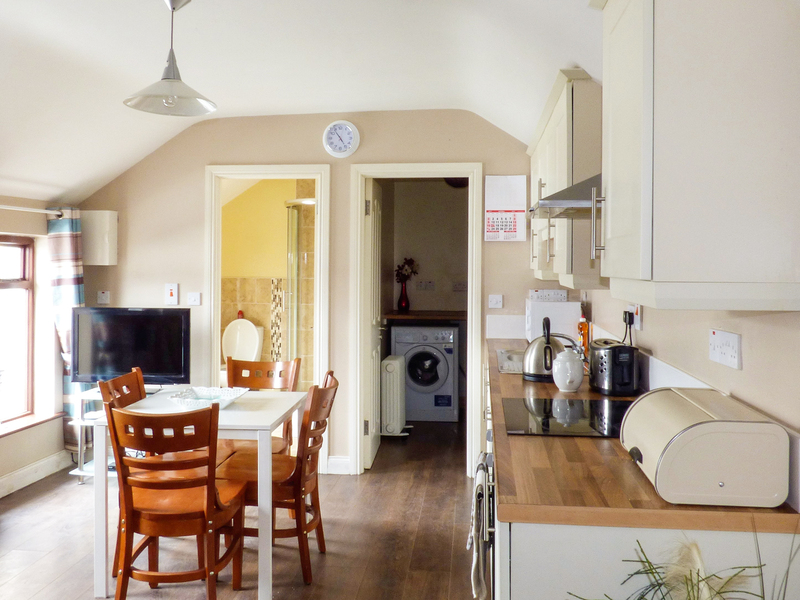 Electric oven and hob, microwave, fridge/freezer, washing machine, tumble dryer, TV with Freeview, WiFi. Fuel and power inc. in rent. Bed linen and towels inc. Off road parking for 1 car. Two well-behaved dogs welcome. Sorry, no smoking. Shops, pubs, and cafes 2 mins walk. Note: There are eight steps up to property. 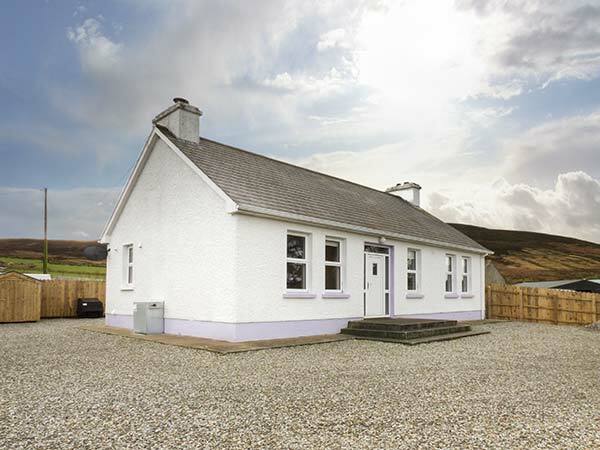 Sarah's Cottage is located thee miles from the town of Creeslough, close to both Letterkenny and Glenveagh National Park in County Donegal. Sleeping two people, there's one double bedroom with an en-suite shower room. There is a lovely open plan living area with a kitchen, dining area and a sitting area with an open fire. Outside is off road parking for three cars and a gravelled area with seating area and BBQ. A lovely romantic base for exploring all that County Donegal has offer, at any time of the year. 1 Bedrooms Oil central heating with woodburner. Electric oven and hob, fridge, washing machine in external outbuilding. Fuel, power and starter inc. in rent. Bed linen and towels inc. in rent. Off road parking for 3 cars. Gravelled area with BBQ. One well-behaved dog welcome. Sorry, no smoking. Shop and pub 3 miles. Note: There is no TV in the property. Note: Due to sheep and cattle in the adjacent fields, dogs must be kept under control and on a lead at all times. 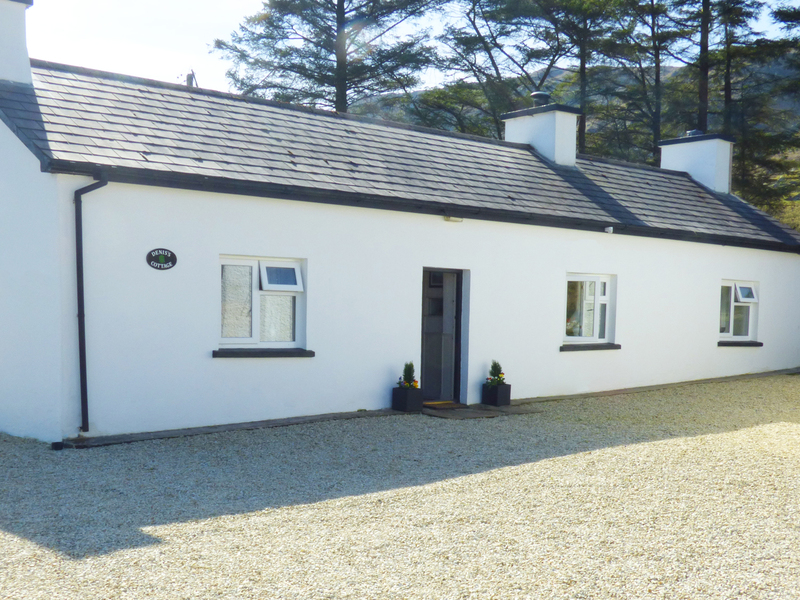 Mick's Cottage is located in the town of Creeslough, close to both Letterkenny and in the Glenveagh National Park in County Donegal. Sleeping seven, there are three bedrooms, consisting of a king-size bedroom with en-suite, a double and a family room, together with a shower room. There is a lovely kitchen/diner, a sitting area with an open fire and a first floor mezzanine area. Outside there's off road parking for three cars and a garden with a seating area and BBQ. A perfect base all year round for families. 3 Bedrooms Electric central heating with open fire. Electric oven and hob, fridge, freezer, washing machine, TV with Saorview. Fuel, power and starter pack for open fire inc in rent. Bed linen and towels inc in rent. Cot on request. Off road parking for 3 cars. Rear garden with seating area and BBQ. One well-behaved dog welcome. Sorry, no smoking. Shop and pub 3 miles. Note: Due to sheep and cattle in the adjacent fields, dogs must be kept under control and on a lead at all times. 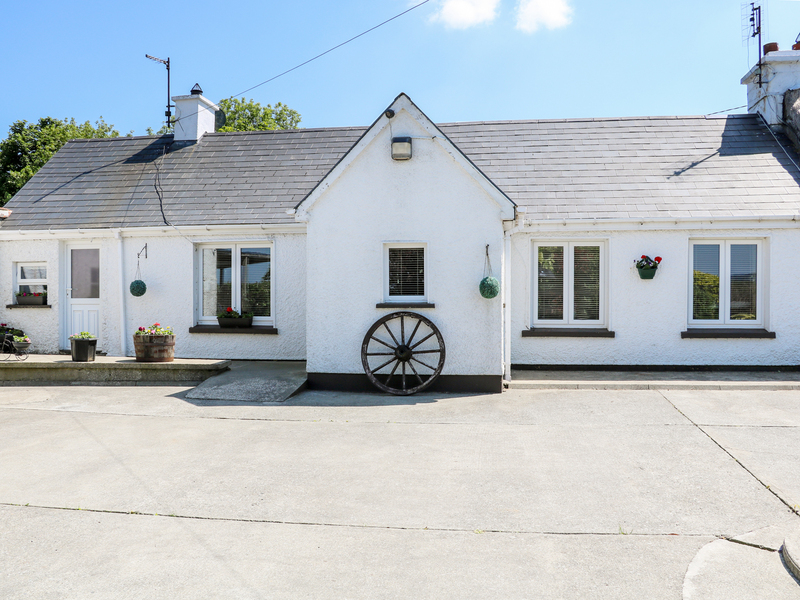 Morgans Cottage is a well-furnished, detached bungalow cottage located in the village of Loughanure near to the town of Dungloe in County Donegal. The cottage can sleep eight people in one double and two family rooms as well as a family bathroom. The rest of the cottage is made up of a fitted kitchen with a dining area and a sitting room with an open fire. To the outside of the cottage is off road parking for four cars and a lawned garden surrounding the cottage with a gravel area to the front with garden furniture. Morgans Cottage is a lovely cottage that can be enjoyed throughout the year. 3 Bedrooms Oil central heating with open fire. Electric oven and hob, microwave, fridge/freezer, washing machines, tumble dryer, dishwasher, 2x TV with Freeview, WiFi, selection of books and DVDs. Fuel and power inc. in rent. Bed linen and towels inc. in rent. Cot and highchair on request. Off road parking for 4 cars. Lawned garden surrounding with gravel area to front with furniture. One well behaved dog. Sorry, no smoking. Shop and pub 5 mins walk. 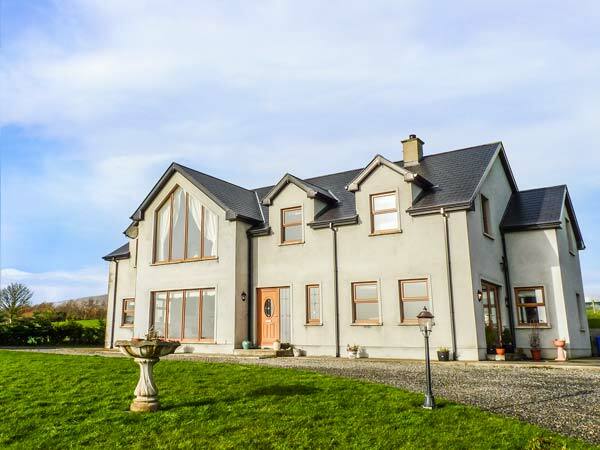 Mulroy Lodge is a modern detached house based in the village of Kerrykeel in County Donegal, Ireland. It has four bedrooms including a family room wit a double and a single, two king size rooms and a twin room, there it also a bathroom and a shower room, the cottage can sleep nine people. Also on the inside there is an open plan living area with a kitchen, dining area and a sitting area with a woodburning stove, a sitting room with a woodburning stove and a conservatory. On the outside there is ample off road parking, a lawn and a decking with a table and chairs. 4 Bedrooms Oil central heating, woodburning stove, open fire. Electric oven and hob, microwave, fridge/freezer, washing machine, dishwasher, TV with Freeview, WIFI, selection of books and toys. Fuel, power and starter pack inc. in rent. Bed linen and towels inc. in rent. Stairgate and highchair on request. Ample off road parking. Lawn and a decking with a BBQ, table and chairs. Sorry, no pets and no smoking. Shop and pub 15 minute walk. 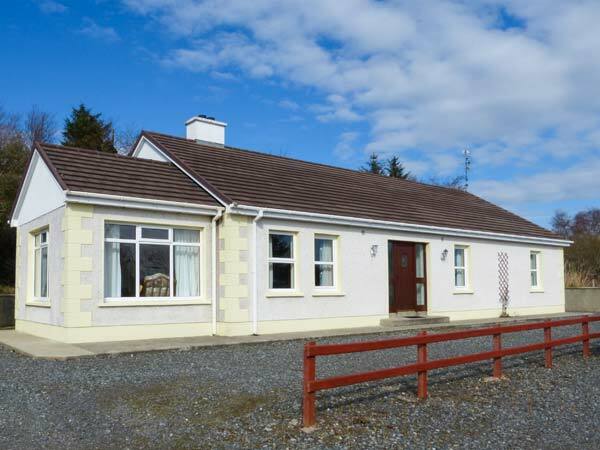 Umgall Cottage is a detached bungalow just over three miles from Malin in County Donegal. The cottage sleeps five people in three bedrooms which are a king-size double, a double and a single room. There is also a bathroom with a separate shower, a cloakroom, a sitting room with an electric fire and a kitchen which leads through to the dining room with a multi-fuel stove. Outside is an enclosed gravelled area and there is ample off road parking. Umgall Cottage is a fantastic choice surrounded by picturesque countryside views. 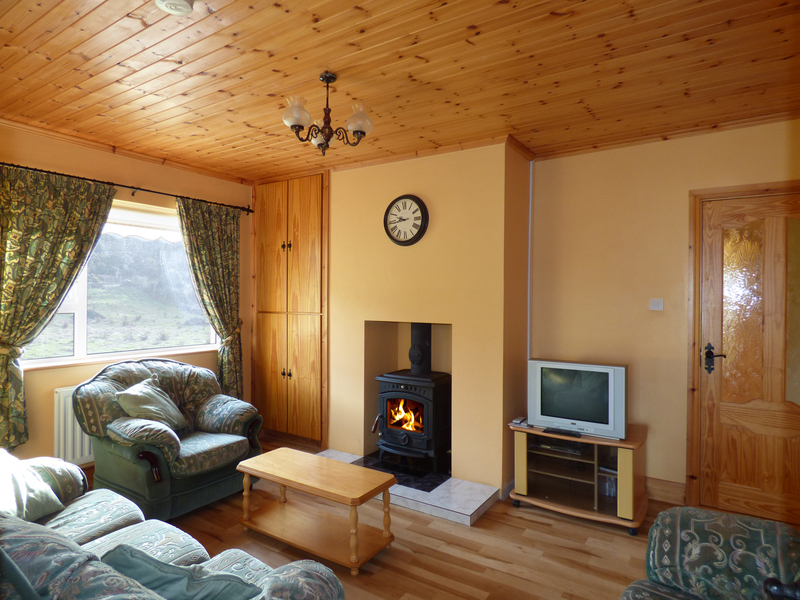 3 Bedrooms Oil central heating with electric fire and multi-fuel stove. Electric oven and hob, microwave, fridge/freezer, slimline dishwasher, washing machine, tumble dryer, TV with Saorview and FreeSat, DVD, CD/radio, selection of books, games and DVDs. Fuel, power and starter pack for stove inc. in rent. Bed linen and towels inc. in rent. Travel cot and highchair. Ample of road parking. Gravelled area. One well-behaved pet welcome. Sorry, no smoking. Shop 3.3 miles, pub 5 mins walk. Note: The property is accessed up two external steps. Heather Cottage is a detached bungalow based near the town of Creeslough in County Donegal, Ireland. It has three bedrooms including two doubles and a twin room, there is also a family bathroom, the cottage can sleep six people in three bedrooms. Also inside there is an open plan living area with a kitchen, dining area and a sitting area as well as a sitting room with a multi-fuel stove. To the outside there is ample off road parking as well as a surrounding lawn. Heather Cottage is a great place for a family to come and enjoy a holiday in the Irish countryside. 3 Bedrooms Oil central heating, multi-fuel stove. Electric oven and hob, microwave, fridge, washing machine, tumble dryer, dishwasher, TV with Freeview, DVD, CD/radio, selection of books and DVDs, WiFi. Fuel, power and starter pack inc. in rent. Bed linen and towels inc. in rent. Ample off road parking. Surrounding lawn. Three well-behaved pets welcome. Shop and pub 1.8 miles. Note: Lawn not enclosed however road is not busy. Ceol na Mara is a spacious detached cottage, situated five miles from Dungloe, County Donegal, and can sleep eight people in three bedrooms, all with sea views.There is one double bedroom and and a family room with one double and two single beds on the first floor, both offering en-suite facilities. There is a further double bedroom on the ground floor which is next door to the family bathroom. The sitting room features a multi-fuel stove and the well-equipped kitchen includes a dining area. Outside there is off road parking for two cars and a front and side garden. 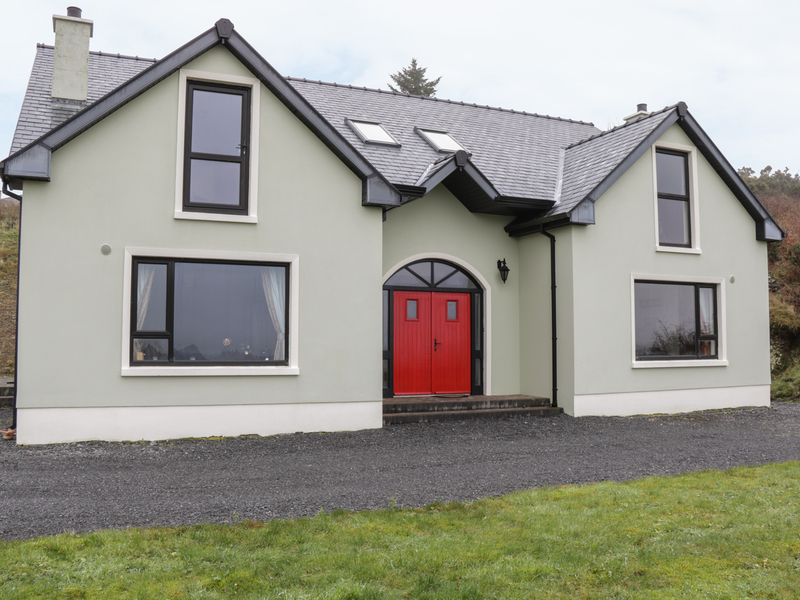 Ceol na Mara is a lovely home to escape the hustle and bustle of daily life. 3 Bedrooms Oil central heating with multi-fuel stove. Electric oven with gas hob, microwave, fridge/freezer, washing machine, tumble dryer, dishwasher, CD, radio, iPod dock, selection of books. Fuel, power and starter pack for stove inc.in rent. Bed linen and towels inc. in rent. Off road parking for 2 cars. Front and side garden. One well-behaved pet welcome. Sorry, no smoking. Shop 5 miles, pub 10 mins walk. Beach 1.5 miles. Note: There is no TV. Note: The folding single bed is for for flexible sleeping arrangements only. 2 Bedrooms Oil-fired central heating plus solid fuel range and woodburner. Electric oven and gas hob, microwave, fridge/freezer, dishwasher, utility room with washing machine and tumble dryer, TV with Freeview, books, radio. Fuel and power inc. in rent. Bed linen and towels inc. in rent. Off-road parking for 3 cars. Enclosed lawned garden with patio and furniture. One well-behaved dog welcome. Sorry, no smoking. Shops, pubs and restaurant 4 miles away. Note: Dried turf for the fire is supplied by owners. Note: Wifi is available in the local pub. 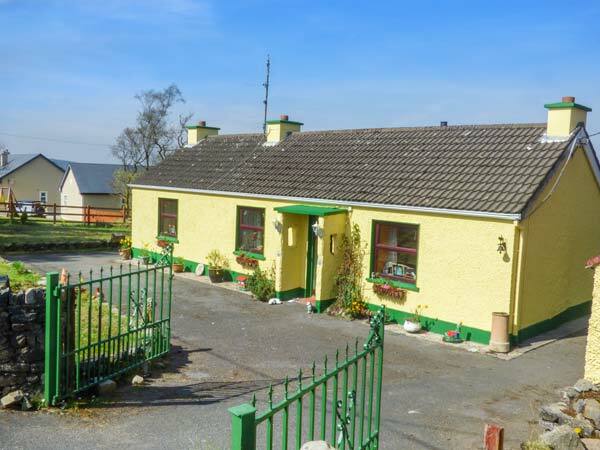 Cooley Cottage is an all ground floor cottage outside Moville in County Donegal. The cottage sleeps seven people in three bedrooms which are a family room with a double and a single, a double with an en-suite and a final double. There is also a shower room and an open plan living area with a kitchen, dining area and a sitting area with an open fire. Outside is a gravelled area with a table and chairs and there is ample off road parking. 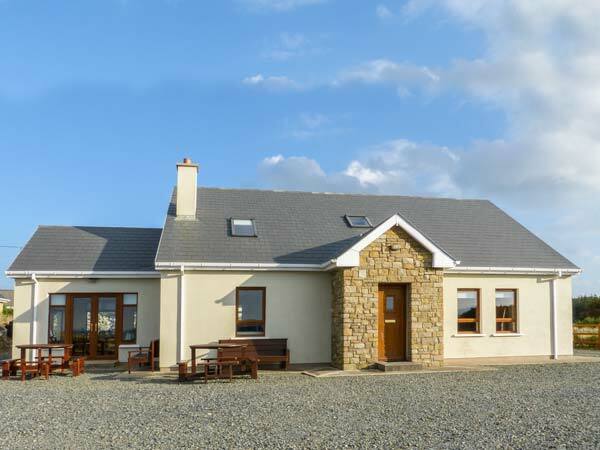 Cooley Cottage is a fantastic choice for those looking to discover the Wild Atlantic Way. 3 Bedrooms Oil central heating with open fire. Electric oven and gas hob, microwave, fridge/freezer, dishwasher, TV with Saorview, selection of books and games. Fuel, power and starter pack for fire inc. in rent. Bed linen and towels inc. in rent. Ample off road parking. Gravelled area with furniture. One well-behaved pet welcome. Sorry, no smoking. Shop and pub 1.3 miles. Coast 12 mins walk. Note: There is a step up to the open plan living area and two small steps down to the bedroom with en-suite. Note: The second double has an external door and is accessed through the double with en-suite. 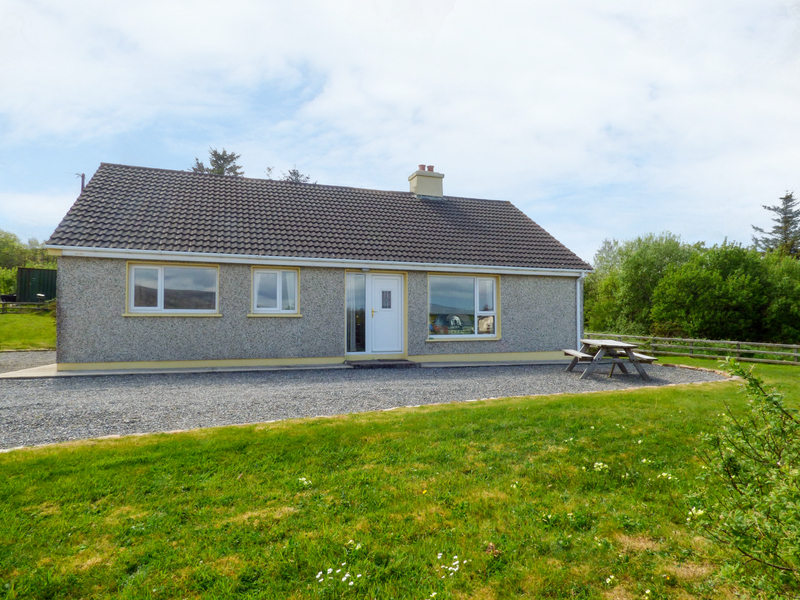 Carrick Cottage is a lovely detached cottage situated in the village of Derrybeg just three miles from Gweedore. The cottage can sleep twelve people in two ground floor double bedrooms one with en-suite shower, two family rooms one with four single beds and the other with one double and two single beds and both en-suite, together with family ground floor bathroom. Also in the cottage is a kitchen with dining area and a sitting room with open fire as well as a conservatory with dining area and sitting area. Outside is ample off road parking and front patio with furniture and rear courtyard. Carrick Cottage is a lovely coastal cottage from which to explore the area. 4 Bedrooms Oil central heating with open fire. Electric oven and hob, microwave, fridge, freezer, washing machine, dishwasher, TV with FreeSat, DVD, WiFi, iPod dock, selection of books and DVDs. Fuel, power and starter pack for fire inc. in rent. Bed linen and towels inc. in rent. Travel cot and highchair. Ample off road parking. Front patio with furniture and rear courtyard. Two well-behaved pets welcome. Sorry, no smoking. Shop and pub 2.6 miles. No 1 Bath Terrace Lane is in the seaside town of Moville in County Donegal overlooking the Irish coastline. This property has two double en-suite bedrooms and can sleep a maximum of four people. The large open-plan kitchen and dining room play host to a contemporary well-equipped kitchen with plenty of prep space to whip up those all-important homemade meals. The comforting space also includes a four-seater dining table, three-seater sofa and arm chair, plus a woodburner to keep you toasty. Moville Backstreet is an ideal romantic break for couples. 2 Bedrooms Electric heating. Electric oven and hob, microwave, fridge / freezer, washing machine, tumble dryer. TV. WiFi. Fuel and power inc. in rent. Bed linen and towels inc. Off-road parking for one car. Sorry, no smoking. Shops, pubs, and cafes 2 mins walk. 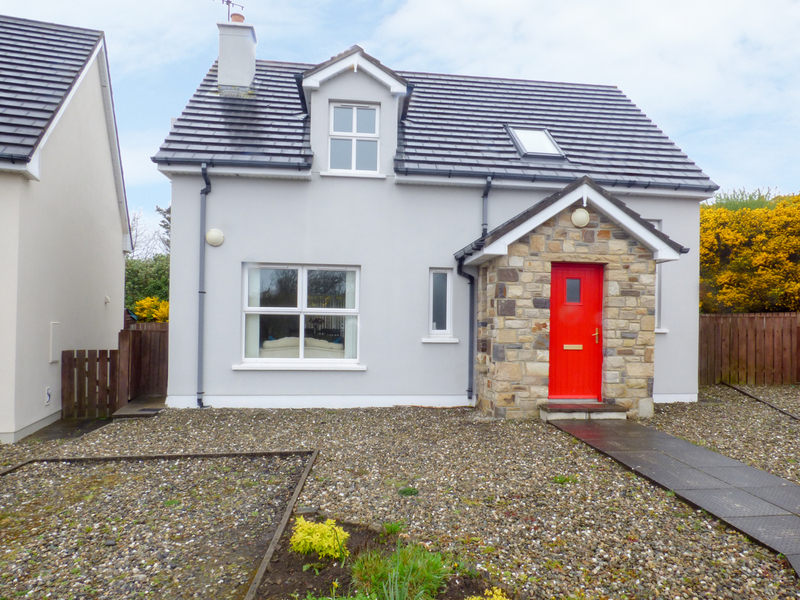 56 Beechwood Park is a lovely semi-detached cottage in the village of Convoy just nine miles from Letterkenny in County Donegal. The cottage can sleep five people in one double bedroom with en-suite shower, one double bedroom and one single as well as family bathroom and ground floor cloakroom. Also in the cottage is a kitchen with dining area and a sitting room with multi-fuel stove. Outside is roadside parking and a private enclosed lawned garden. 56 Beechwood Park is a delightful cottage from which to explore this wonderful part of the country. 3 Bedrooms Oil central heating with multi-fuel stove. Electric oven and gas hob, microwave, fridge/freezer, washing machine, TV with Freeview, WiFi. Fuel, power and starter pack for stove inc. in rent. Bed linen and towels inc. in rent. Roadside parking on a first come, first served basis. Private enclosed lawned garden. Sorry, no pets and no smoking. Shop and pub 2 mins walk. 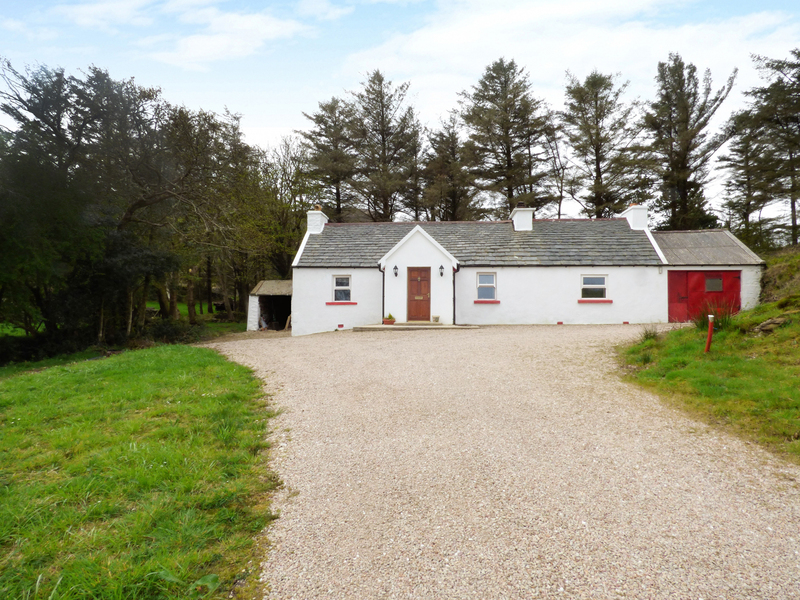 Gapple Cottage is an all ground floor detached cottage in an isolated position nearly six miles from Rathmullan. The cottage sleeps four people in two double bedrooms. There is also a shower room, a kitchen with a dining area, a utility, and a sitting room with a multi-fuel stove. Outside is a gravelled area with a lawned garden and ample off road parking. Gapple Cottage is in a fantastic, isolated position, ideal for couples or a family who are looking to get away from the hustle and bustle of everyday life. 2 Bedrooms Oil central heating with multi-fuel stove. Gas oven and hob, microwave, fridge, freezer, washing machine in utility, TV with Saorview, DVD, CD/radio, selection of books games and DVDs. Fuel, power and starter pack for stove inc. in rent. Bed linen and towels inc. in rent. Ample off road parking. Gravelled area with lawned garden. Sorry, no pets and no smoking. Shop and pub 4 miles. 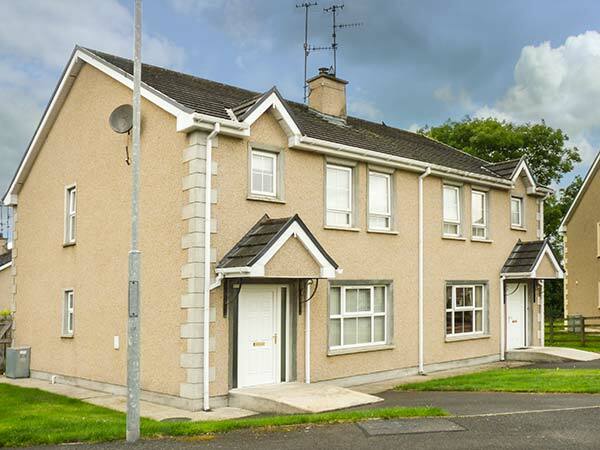 Central Ardara Riverside Apartment is a lovely first floor apartment situated in Ardara in County Donegal. This cottage sleeps four people and has two twin bedrooms, including one with an en-suite shower. The apartment also has a bathroom and an open plan living area with kitchen, breakfast bar, dining area and sitting area. Outside there's one allocated off road parking space and a shared front patio with furniture. 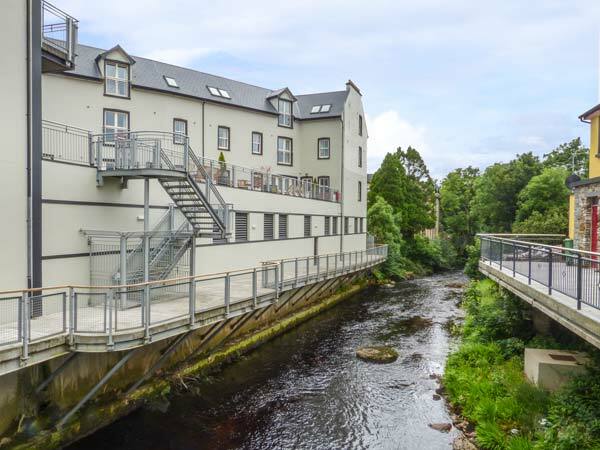 Central Ardara Riverside Apartment is a welcoming base with plenty to see and do within this part of Donegal. 2 Bedrooms Electric storage heaters. Electric oven and hob, microwave, fridge/freezer, washing machine, tumble dryer, dishwasher. TV with Saorview, WiFi. Power not inc. in rent Apr, May, Sep to December, and is charged by meter reading, first 20 euros inc. in rent June - August inclusive. Bed linen and towels inc. in rent. Allocated off road parking space for 1 car plus guest spaces on a first come, first served basis. Shared front patio with furniture. Sorry, no pets and no smoking. Shop and pub 2 mins walk. Note: Property is next to a river. Note: Adults only, no children. 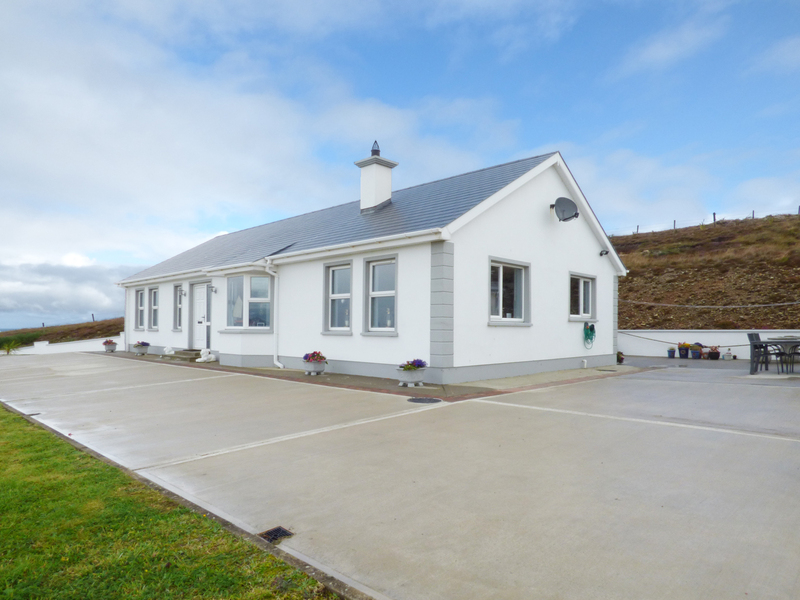 Gelmar's Coastal View is a delightful cottage situated near the village of Malin Head in County Donegal. Hosting three bedrooms; a king-size with en-suite, a king-size double and a twin as well as a family bathroom, this property can sleep up to six people. Inside you will also find a sitting room with a wood burner, an open plan sitting and dining area with breakfast bar and a utility room. To the outside is off road parking and a lawned garden with views. 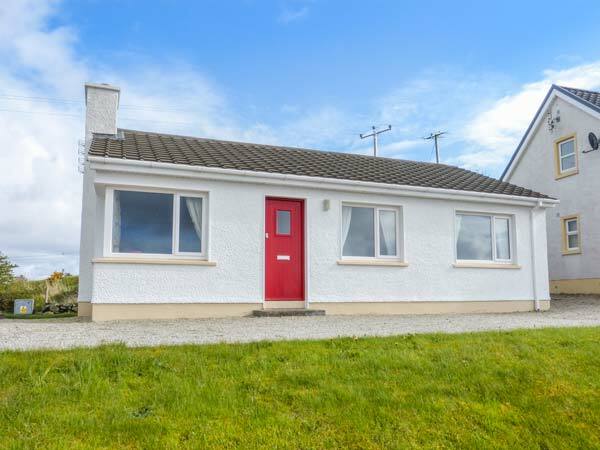 Situated in a lovely location and close to scenic attractions, Gelmar's Coastal View is a heart warming cottage in a pleasant part of Ireland. 3 Bedrooms Oil central heating with woodburner. Electric oven and hob, microwave, fridge/freezer, washer/dryer, dishwasher, 2 x TV with Freeview, WIFI, selection of books, games and DVDs. Fuel, power and starter pack for fire inc. in rent. Bed linen and towels inc. in rent. Cot and highchair. Off road parking. Lawned garden with furniture. Sorry, no pets and no smoking. Shop and pub 1.8 miles. Property is wheelchair friendly as has access via a ramp. Lough Eske House is a detached cottage set near Donegal Town in Ireland. It offers four double bedrooms, two with en-suites, as well as two family bathrooms, the property can sleep eight people. The inside also comes with a kitchen/diner, a utility and two sitting rooms both with open fires. To the outside you will find off road parking for four or five cars, as well as lawned areas to the front and side of the property. Lough Eske House is a stylish cottage in a wonderful Irish location. 4 Bedrooms Oil fired central heating with additional heating from open fires in each of the two sitting rooms. Electric oven and hob, microwave, American fridge/freezer, dishwasher, washing machine, tumble dryer, TV with Sky channels, WiFi, selection of books and games. Fuel and starter packs for open fires included in rent. Bed linen and towels included in rent. Off road parking for 4/5 cars. Lawned garden to front and side of property. One well-behaved dog welcome. Sorry, no smoking. Pub 3 miles, shop 6 miles. Note: There is a step in the large entrance hall that leads to the various rooms, so care should be taken. 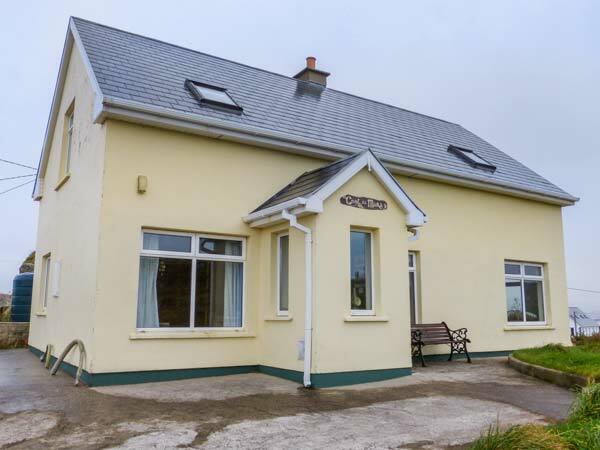 Creeslough View is a lovely bungalow situated close to the village of Creeslough just six miles from Dunfanaghy in County Donegal. The cottage can sleep up to ten people (eight adults and two children) and has one double bedroom and one family room with one double and one single bed and one family room with adult bunks, one single and a sofa bed as well as family bathroom. 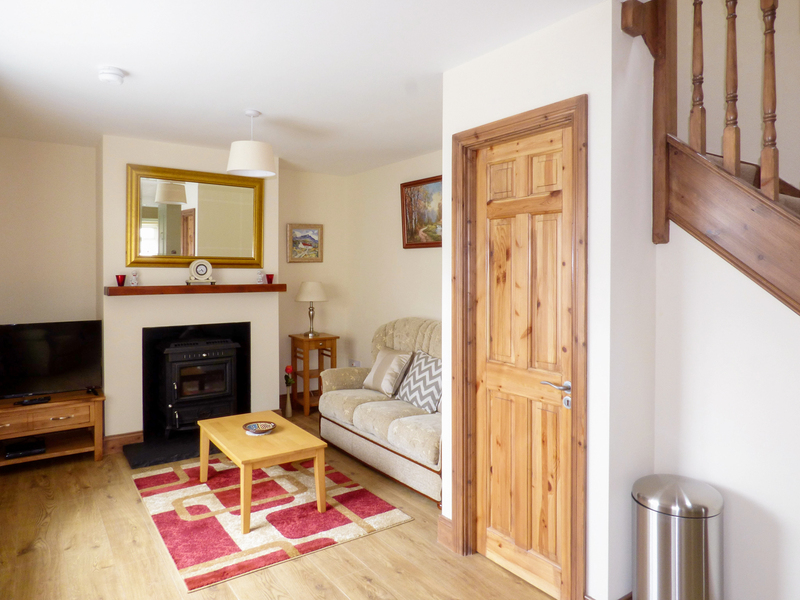 Also in the cottage is an open plan living area with kitchen, dining area and sitting area and separate sitting room with open fire and conservatory. Outside is ample off road parking and a yard with furniture and BBQ. Creeslough View is a delightful cottage from which to explore this lovely part of the country. 3 Bedrooms Oil central heating with solid fuel stove and open fire. Electric oven, gas hob, microwave, fridge/ freezer, washing machine, dishwasher, TV with basic Sky (with kids channels), DVD, selection of books, and games. Fuel and power and starter pack for fire inc. in rent. Bed linen and towels inc. in rent. Ample off road parking. Enclosed gravel yard with furniture and BBQ. One well-behaved pet welcome. Sorry, no smoking. Shop and pub 1.5 miles. Note: Max 8 adults and 2 children. 3 Bedrooms Oil central heating with woodburning stove. Gas oven and hob, microwave, fridge/freezer, washing machine in utility, dishwasher, TV with Saorview, DVD, radio, selection of books and DVDs. Fuel, power and starter pack for stove inc. in rent. Bed linen and towels inc. in rent. Travel cot on request. Ample off road parking. Front gravelled area with furniture and gas BBQ. One well-behaved dog welcome. Sorry, no smoking. Shop, pub and beach 5 miles. 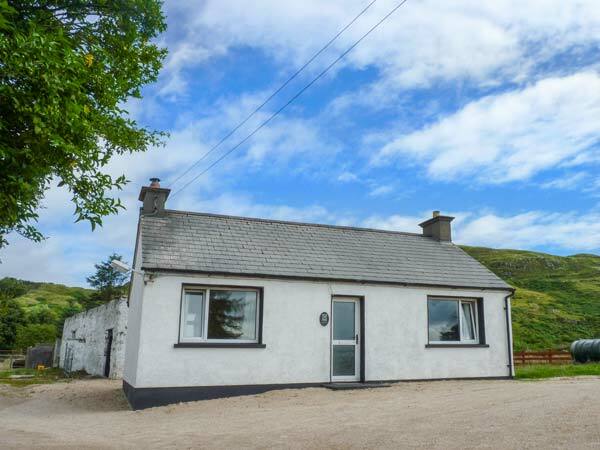 Mount Hill Cottage is a detached, ground floor holiday cottage, just 1.8 miles outside the quiet village of Portnablagh on the shore of Sheephaven Bay, near Letterkenny, and can sleep six people. There are two double bedrooms, a twin bedroom, a shower room, an open plan living area with kitchen, dining area and sitting area with an open fire. Outside there is ample off road parking and a gravelled and lawned area to the front with furniture. 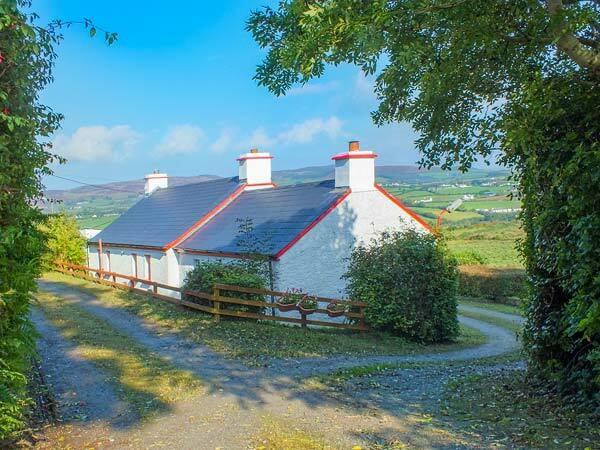 Mount Hill Cottage is a lovely base for your Irish holiday. 3 Bedrooms Oil central heating with open fire. Electric oven and hob, microwave, fridge/freezer, washing machine, TV with Saorview, DVD, CD, radio, selection of books, games and DVDs. Fuel, power and starter pack for fire inc. in rent. Bed linen and towels inc. in rent. Ample off road parking. Gravelled and lawned area to front with furniture. Sorry, no pets and no smoking. Shop and pub 1.8 miles. 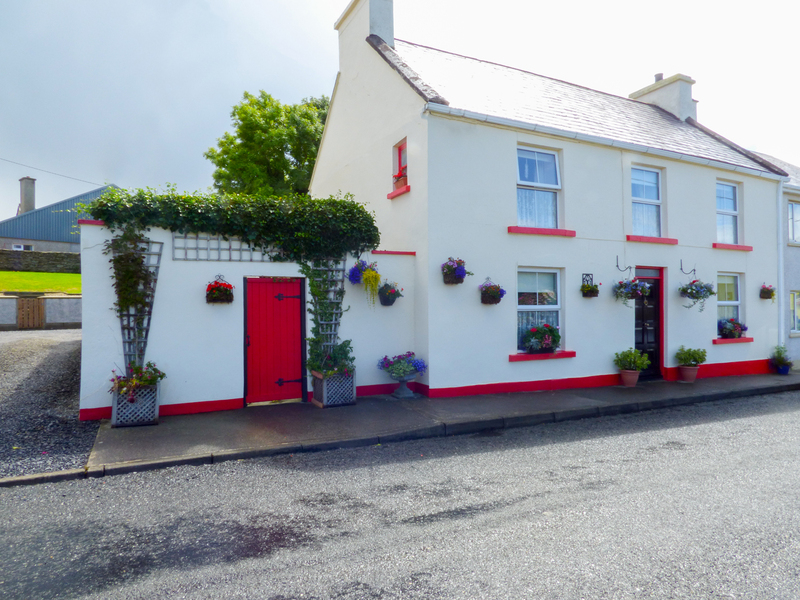 Flower Pot Cottage is a charming detached cottage nestled in the heart of Dunkineely village, near the town of Killybegs and on the Wild Atlantic Way, in County Donegal. This cottage sleeps five people and has two double bedrooms, one single and a bathroom. The cottage also contains a kitchen with dining area and a sitting room with electric fire. To the outside there is roadside parking and an enclosed patio with furniture. With stunning seascapes and seaside villages dotted throughout this area, Flower Pot Cottage will suit those looking for a coastal break away. 3 Bedrooms Oil central heating with electric fire. Electric oven and hob, microwave, fridge, freezer, washing machine, tumble dryer, TV with FreeSat, WiFI, selection of books and games. Fuel and power inc. in rent. Bed linen and towels inc. in rent. Roadside parking for 2 cars outside cottage on first come, first served basis. Enclosed patio with furniture. One well-behaved dog welcome. Sorry, no smoking. Shop and pub 1 min walk. Note: Check-in 4pm. 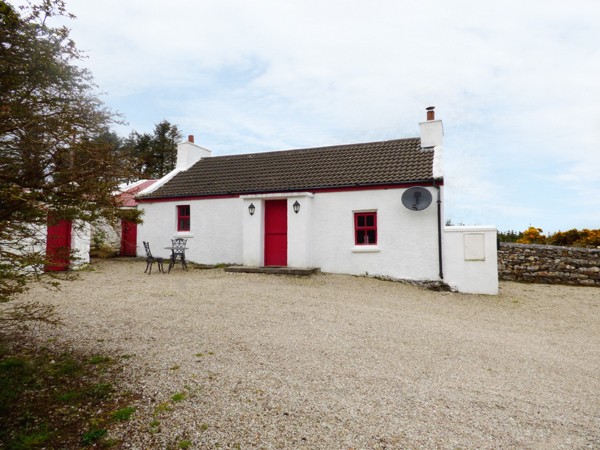 Millers Lane House is a lovely detached cottage situated close to the village of Muff just five miles from Derry in County Donegal. The cottage can sleep twelve people in six bedrooms (five of which are en-suite) with one king-size double, one ground floor double, two double, one single and family room with one king-size double bed and one single bed, together with a cloakroom. Also in the cottage is an open plan living area with kitchen, dining area and sitting area and separate sitting room with open fire. Outside is ample off road parking and a lawned garden. Millers Lane House is a delightful property and an ideal place from which to explore this fantastic part of the country. 6 Bedrooms Oil central heating with open fire. Oil-fired four-oven AGA with gas hob, microwave, fridge, freezer, washing machine, tumble dryer, dishwasher. 5 x TVs with Freeview (one Smart TV with Netflix), DVD, Xbox 360, WiFi, selection of books, games and DVDs. Fuel, power and starter pack for fire inc. in rent. Bed linen and towels inc. in rent. Ample off road parking. Front and rear lawned garden with furniture and BBQ. One well-behaved dog welcome. Sorry, no smoking. Shop and pub 3 miles. Note: No stag/hen parties, or similar.